Getting your systems protected is easy. There is no hardware to install or any training required. Simply give our Support team a call now and they will have you up and running in no time. 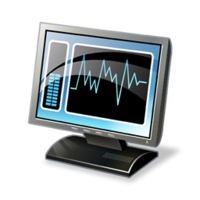 We utilise sophisticated monitoring software to monitor your systems and help minimise the possibility of business interruption. Our on call technicians are alerted when a problem is detected and are on the job working to resolve the issue before it impacts on your business. Often, we can identify and resolve a potential problem so quickly that it has no impact on your staff or business. You will often not even know there has been a problem, until you see our monthly report.